Truth bombs were falling out of the sky last night as I sat down at my desk to watch the rest of Dr. Natasha Campbell-McBride’s lecture from the Wise Traditions London DVD. I learned all about how the health of the digestive system plays a HUGE role in asthma, epilepsy, depression, and a whole lot more! Mind blowing info, indeed. Tomorrow, I plan on filling you guys in on the whole asthma situation. Did you know that asthma meds actually cause long-term lung damage? But today I felt the need to talk about one of my favorite topics, reproduction. I love talking about baby making! Click the video below to learn how your immune system was inherited from your mother, and why it is so incredibly important for women (and men) to ensure that their guts are well stocked with healthy flora. Too many babies are coming into this world with the chips down. 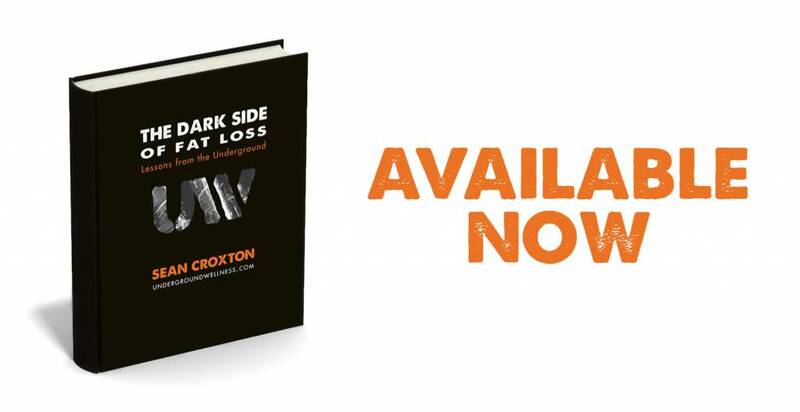 What results is an ugly cascade of compromised immunity, infections, antibiotics, worsened gut flora and immunity, leaky gut, toxicity, food sensitivities, and autoimmunity. Talk about a domino effect! Let’s nip this thing in the bud by educating ourselves and eating with our children in mind. If you’re interested in learning more about health baby-making, click HERE to check our my buddy Chris Kresser’s Healthy Baby Code program. You’ll dig it. Is there anything that gut flora cannot do? Yesterday, we discussed how the beneficial bacteria in your gut protect you from invaders, as well as their role in building a healthy intestinal tract. Today, it gets even better! Turns out that these bacteria also produce the entire spectrum of B vitamins, Vitamin K2, and amino acids. So when your body is running low on vitamin B16, for example, it calls your gut flora and has tells it to produce more of it. Very cool! Also, in a nation obsessed with detoxification, we have completely ignored the role of gut flora in carrying harmful, cancer-causing chemicals and heavy metals out of our bodies. Wait until you hear about the rat study that demonstrated just how protective your gut flora (when healthy, of course) can be in eliminating mercury from your body. Absolutely mind blowing. Click the video below and get your learn on! I also announce the winners of yesterday’s Wise Traditions 2011 DVD giveaway. Thanks for all of your comments! Oh, yeah! We’re giving away FREE schwag today! I spent the couple days pouring over Natasha Campbell-McBride’s book Gut and Psychology Syndrome as well as watching the fascinating lecture she gave at The Weston A. 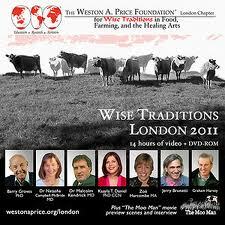 Price Foundation’s Wise Traditions Conference 2011 in London on DVD. In a nutshell, gut flora is king! If your flora is out of balance, you’ve got problems. The problem is that we tend to not take our gut flora as seriously as we should. Why? Well, it’s most likely due to lack of education. No one is really talking about these health-giving microbes in schools or in the media — well, besides those ridiculous high-sugar yogurt commercials. So, today’s video is my rendition of Dr. Campbell-McBride’s wonderful lecture. Actually, it’s the first 10 minutes of her 90-minute talk. There’s enough material in that lecture to cover two weeks of videos! Stay tuned for more. Click the video below and be sure to leave a comment to enter our Wise Traditions London 2011 DVD giveaway contest. We’re giving away this 4-DVD set to three lucky commenters. I’ll announce the winners by video Friday morning. Have a gut flora-friendly day!